Even though he was determined to try, it was too much to ask of Shohei Ohtani to take Major League Baseball on a sentimental ride back to early in the 20th century, when Babe Ruth mastered the art of being as proficient a pitcher as he was a hitter. The possibility is what initially enthralled some MLB teams last winter when Ohtani, the Japanese superstar, became available as a free agent. But on Wednesday, the ulnar collateral ligament in Ohtani’s right pitching elbow, classified with a Grade 2 sprain in June, showed increased signs of wear. With that news came the recommendation from the Los Angeles Angels medical staff that Ohtani agree to Tommy John surgery. If he does, Ohtani would likely not pitch again until early 2020. Angels general manager Billy Eppler said on a conference call Wednesday that Ohtani, 24, had not decided whether to have surgery. That decision is expected by Monday. 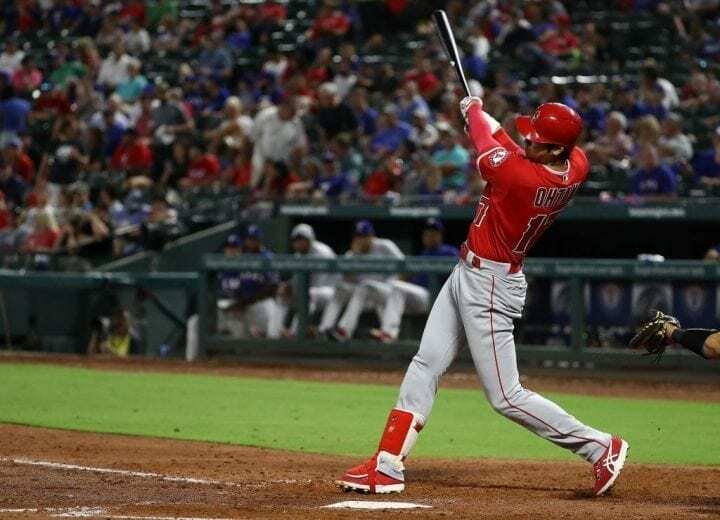 But then in an amazing twist, Ohtani, who is still able to be a designated hitter, put aside the disappointment to smack a pair of home runs in the Angels 9-3 win over the Texas Rangers. 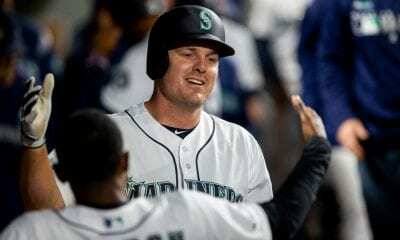 He batted third in the lineup and reached base all five times he batted scoring four runs. “He’s mentally tough in any situation he’s ever in,” Angels manager Mike Scioscia said after the game. “Tonight, he was a hitter. He didn’t think about what the future is and what the decision is he’s got to make for his elbow. He was out there playing baseball and hitting the ball.” Scioscia added it would be up to doctors to determine whether Ohtani will be allowed to continue hitting. Ohtani did not speak to the media after the game. Ohtani’s elbow had given him some trouble in Japan before the Angels signed him. And then on June 6, after a start against Kansas City, he was shut down after being diagnosed with a Grade 2 sprain. 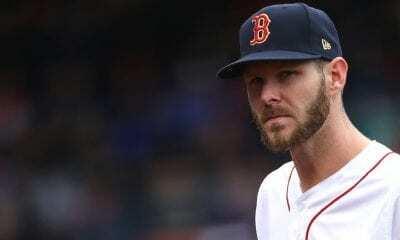 At that point, stem-cell and platelet-rich plasma injections were prescribed and he did not make another start until last Sunday against the Houston Astros. But he did not look well. Ohtani, who has a 3.31 ERA in 51 2/3 innings, threw only 49 pitches. His velocity dropped nearly seven mph between the first and third innings, bottoming out at 92.6. The Associated Press reported that a light bullpen session on Wednesday was canceled when he complained of stiffness. And that prompted another MRI. Ohtani came to the Angels from the Nippon Ham Fighters in Japan and picked the Angles over five other teams because they would allow him to continue being a two-player. Coming into Thursday’s play, Ohtani had 18 homers, 47 RBIs, with a .287 average and .367 on-base-percentage to become the first player since Ruth in 1919 to hit 15 homers and pitch at least 50 innings in one season. In 1919 for the Boston Red Sox, Ruth lead the AL in homers (29) and RBIs (113) and had a 2.97 ERA in 133 1/3 innings. The success of Ohtani has inspired other teams. The Tampa Bay Rays have are using their top prospect, 2017 first-round pick Brendan McKay, as a two-way player this season in the lower Minor Leagues. McKay has a 2.41 ERA with 103 strikeouts in 78.1 innings and is hitting .214 with six homers and 39 RBIs. Eppler said on the conference call that the organization plans to use Ohtani again as a two-way player when his health permits. Position players such as Yankees rookie second baseman Gleybar Torres had Tommy John surgery last summer and was ready to go by the spring. 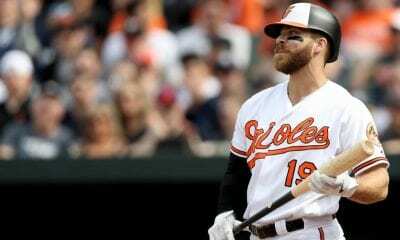 Along with Ohtani, he is a leading candidate to be the AL’s Rookie of the Year.